Google was incorporated on September 4, 1998, but the company has always celebrated its birthday on September 27th for over a decade. Today, it’s marking 20 years of Google Search with a slew of interactive features: there’s a video doodle highlighting popular searches over the years, a time capsule of Easter egg Search terms, a street view tour of the original garage in which the company was founded, and finally, a Google Images desktop redesign. While the video doodle is cute and straightforward enough, there are plenty of hidden gems to be found inside Susan Wojcicki’s Menlo Park garage, where Larry Page and Sergey Brin set up the first Google office. You can click around to take a virtual tour of the entire home, which has been painstakingly recreated to look as it did in 1998. 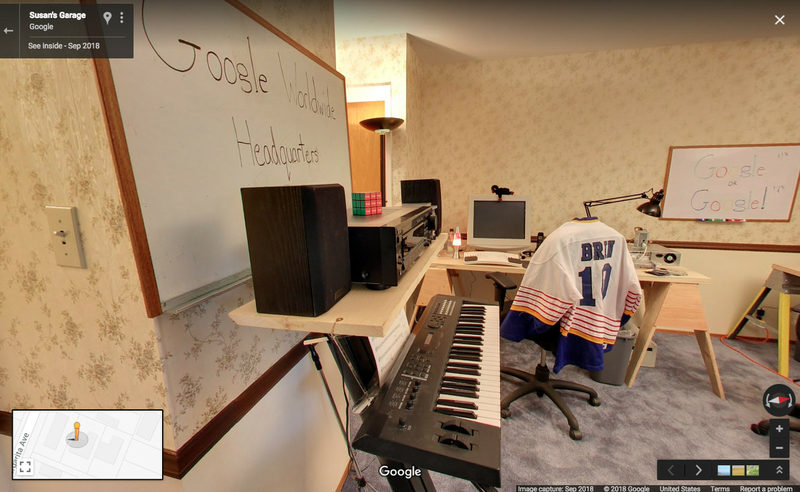 There are a bunch of ‘90s gadgets scattered throughout, and make sure to open up the secret door and turn on the neon light to find more Google memorabilia. The Easter eggs continue over to the Search bar, where queries from the early days of the internet bring up gentle suggestions for more modern phrases. For example, if you search “how to tell someone you like them,” you’ll get a message that reads, “It’s 2018! Did you mean: swipe right.” Here’s a full list of all the retro terms you can search, and their modern equivalents. To coincide with its birthday, Google’s also introducing a redesigned Google Images experience on the desktop, which was part of Monday’s big announcement of bringing a news feed to its mobile homepage. A new ranking algorithm for image search will show more content relevant to what you’re searching for, and images will include more context and information about the page it came from. There’s a lot to play around with today. If you want to dive even deeper, you can read Google’s blog post chronicling its most notable doodles so far, or play around with this interactive tool that shows short insights into our search trends over the years. For a comprehensive history of the search giant’s biggest moments throughout the past 20 years, read our timeline of how Google’s search engine reshaped the world.